Pick up by customer Paperwork and payment must be completed before pick-up is possible. Payment cannot be made at the warehouse. Items will be supplied boxed and will need assembly.Basic tools will be required to complete the assembly. Flat Pack Delivery – Metro Items will be delivered boxed and dropped off at Reception.Basic tools will be required to assemble the furniture. Flat Pack Delivery – Country Areas Items will be delivered boxed or palletized. Boxes will be dropped off at the nearest ground floor entrance. Delivery is priced for a ground floor drop off only. If boxes are palletized and no forklift is available, the driver may require assistance to unpack the pallet.Basic tools will be required to assemble the furniture. Delivery and Assembly – Metro only Items will be delivered, assembled on site, placed in position and all packaging will be removed.This option is only available to customers residing in one of our delivery areas. 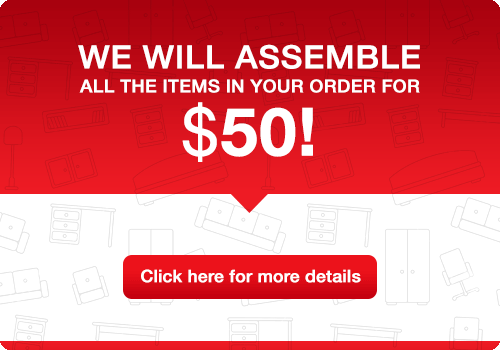 Our website – www.fastofficefurniture.com.au – has a Delivery Cost Calculator at the top right hand side of each page. Delivery postal codes can be entered into this calculator to determine whether you are in one of our delivery zones or not. Delivery and assembly in Metro areas will generally take place within 3 – 5 working days after paperwork is finalised and payment received, providing all items are in stock. All deliveries take place from Monday to Friday between 8.30am and 5.00pm. We do not deliver over weekends. Items to be shipped interstate or to country areas, will generally leave within 24 hours of the order being processed via local couriers after payment has been received and providing all items are in stock. We will advise customers in good time of a delivery date by email. It is an expectation that our clients will equip us with all possible information pertaining to the delivery e.g. above ground delivery; lift or service lift access; loading bays or loading dock availability; street parking; opening hours if not open 8.30am – 5.00pm Monday to Friday; site contact details if not the same person placing the order etc. If the delivery date is not suitable or if there will not be someone on site to meet the driver, the expectation is that the customer will contact the Fast Office Furniture head office on (07) 3821 2153 as soon after notification as possible to reschedule the delivery. ü In the case of a flat packed delivery, the customer may give authority for the goods to be left on site in a safe place. (Customer to call the office to confirm). A delivery which has to be rescheduled due to customers not being available on the delivery day and not informing the office in good time (at least 24 hours before delivery if possible), will incur additional fees i.e. a $25 Re-Delivery Fee and a $10 Administration Fee (Total Fee $35.00). This fee is to be paid before the delivery is rescheduled. Payment can be made either by phoning the office with credit card details or by bank transfer.